Joaquin Valdepeñas, considered one of the most distinguished clarinetists of his generation was recently appointed Resident Conductor at the Royal Conservatory of Music’s Glenn Gould School and has conducted the Toronto Symphony Orchestra on many occasions. 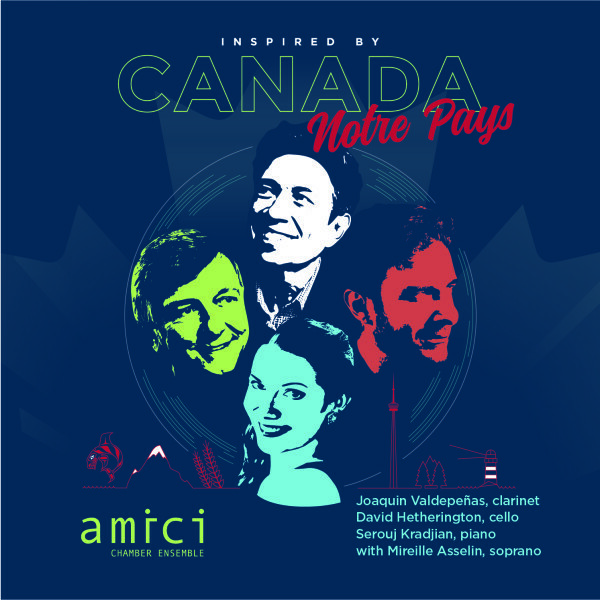 A prolific recording artist, he has won two Juno Awards, for his recording of Jacque Hetu’s clarinet concerto and most recently with Amici Chamber Ensemble’s Levant. his latest CD with the ARC Ensemble on the Chandos Label was released last season and features the Clarinet Quintet of Paul Ben-Haim. Another Chandos disc has just been recorded for release in 2016. Mr. Valdepeñas was a Grammy Award nominee two consecutive years in the chamber music category—the latest nomination for a recording featuring the music of Julius Rontgen on Sony BMG. Mr. Valdepeñas was appointed principal clarinet of the Toronto Symphony Orchestra upon graduation from Yale University and appears as soloist, chamber musician, and conductor. He has performed at international festivals including Banff, Casals, Curitiba Brazil, Marlboro, Nagano Japan, and Korea’s Great Mountains Music Festival and has collaborated with the American, Calder, Emerson, Muir, Orion, St. Lawrence, Takács, Ying, and Zemlinsky string quartets, as well as the Chamber Music Society of Lincoln Center, The International Sejong Soloists and the Kalichstein Laredo Robinson Trio. Mr. Valdepeñas made his European debut with the BBC Welsh Symphony which was televised on the BBC and has recorded the Mozart Clarinet Concerto with the English Chamber Orchestra. He has been a member of the artist/faculty at the Aspen Music Festival and School for many years and was featured in a PBS documentary about the festival. Last season his love of chamber music took him to performances at Wigmore Hall in London and The Royal Concertgbeouw Hall in Amsterdam. As an exclusive Yamaha artist he was instrumental in the design of the CSG clarinet combining the french and german traditions into a unique voice.